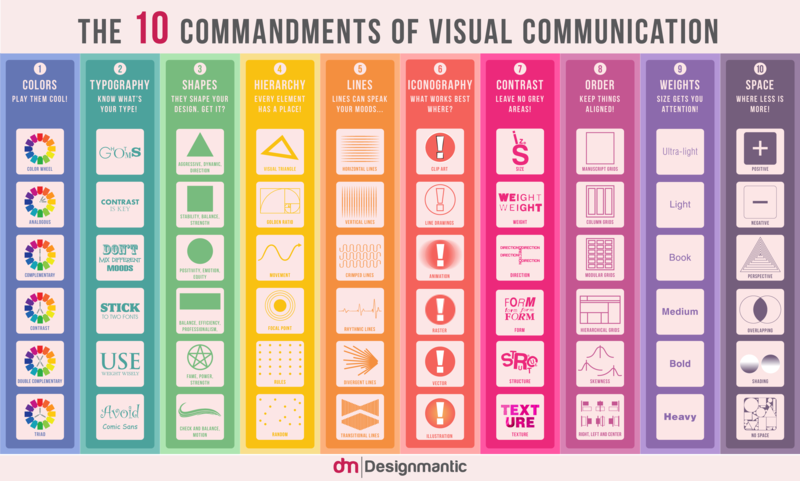 We took a trip over to Designmantic.com once more and found this – one of the best infographics covering visual communication that we've seen – so we had to share it with you! Designmantic created the 10 commandments of typography, UI, and colour theory that you may have seen on our pages, and now they've designed this graphic to help when you're creating your own infographics, GIFs or other form of visualizations. If you stick with these rules, basic or not, you won't go far wrong.